Hmmm it’s a long shot with only King Air time. I’d suggest going out and buying yourself a Dash-8 typerating. If you have the cash book an RJ sim for better chances. Checkout CAE or Flightsafety. If you're gonna go that route, just book the challenger shuttle sim and come in with some orbital time and I'm sure that'll get you a nod. 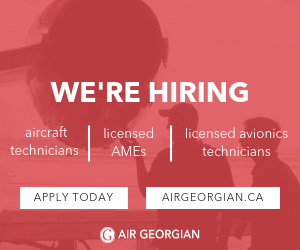 A Dash 8 or CRJ type rating is not on the list of hiring requirements. They were being sarcastic A friend of mine had straight Navajo time and got hired so King Air should be just fine I would think. No but it will help! Or you can really secure your chances with Jazz by getting a 737 type rating, that will really go a long ways in your career. Jazz 2018 total hiring looks to be projected to about one half (or less) of 2017 actual hiring amount. Significantly reduced attrition rate (due to PMLv1.0 vs v2.0/v3.0/Express hiring pool changes). Upgrade times will be affected accordingly depending on whether departing pilots are CA or FO. Interesting, how much from jazz on each AC gs these days? Used to be a lot..
Jazz ovehired and is now offering LOA and reduced flying blocks for balance of 2018 and winter season. Damn I'm gonna be 15 years out of flight college before I make it to airlines. I predict much less... probably 2 groundschools of like 10-12 in each from here to the end of the year. Last edited by Cristian92 on Thu Aug 09, 2018 1:23 pm, edited 1 time in total. Where did you get that intel? How many do they plan to hire for the rest of the year? There will be 4 GS till Dec.
Last edited by Cristian92 on Thu Aug 09, 2018 1:22 pm, edited 1 time in total. Last edited by Cristian92 on Thu Aug 09, 2018 1:21 pm, edited 1 time in total. Mainline hasn't decided theirvgs dates yet, Jazz might be waiting after them to see how much they are loosing..
Also sky is hiring quite a bit, but you need at least 1500h with more experience than Jazz is asking for.